Formed in 2001, the Hong Kong Youth Development Team was established to attract more youngsters who is below the age of 25 to participate in the sport of bowls so as to ensure the long-term development of the sport in Hong Kong. The team, which is a result of the Hong Kong Youth Lawn Bowls Training Programme commenced in March 2001, was started with 32 young boys and girls who had joined the Hong Kong Youth Lawn Bowls Competition in 2000. The training was first held at Shatin but it then changed to Tai Po Waterfront Park and it remained their home green until now. Today, HKYDT continued to recruit new members from youngsters graduated from the Youth Athletes Lawn Bowls Training Scheme (YAS) and has constantly maintained a squad of more than 50 boys and girls. A number of graduates from HKYDT has moved on to represent Hong Kong at senior level, ensuring the supply of fresh blood to the team. In September 2001, the HKYDT started to participate in the men’s Premier League organized by HKLBA and the girls team was formed in 2004. Over the years both teams have won a number of league champions. With the funding from LCSD, a Hong Kong Lawn Bowls Youth Overseas Exchange Programme for HKYDT members was organised by HKLBA from 10th to 19th August, 2018 in Scotland. With the funding from LCSD, a Hong Kong Lawn Bowls Youth Overseas Exchange Programme for HKYDT members was organised by HKLBA from 1 April to 8 April 2018 at Adelaide, South Australia. The aim of this training camp is to enhance the team spirit among the HKYDT members and to enrich the HKYDT member's knowledge in lawn bowls. 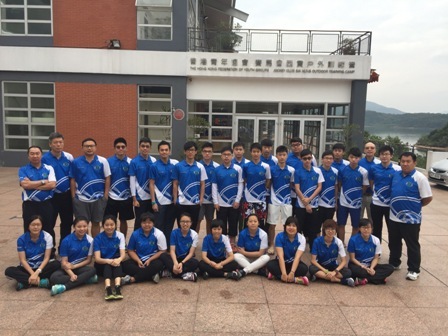 With the funding from LCSD, a Winter Training Camp for HKYDT members was organised by HKLBA from 2 February to 4 February 2017 at The Hong Kong Federation of Youth Groups Jockey Clubs Sai Kung Outdoor Training Camp. The aim of this training camp is to enhance the team spirit among the HKYDT members and to enrich the HKYDT member's knowledge in lawn bowls. With the funding from LCSD, a Winter Training Camp for HKYDT members was organised by HKLBA from 11 February to 13 February 2016 at Kowloon Bowling Green Club. The aim of this training camp is to enhance the team spirit among the HKYDT members and to enrich the HKYDT member's knowledge in lawn bowls.